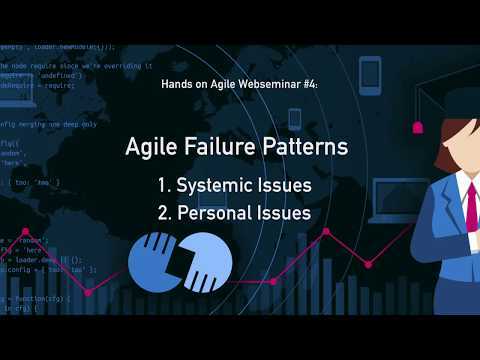 Note: If the browser will not play the playlist automatically, click here to watch the replay of the webinar agile failure patterns 2.0 directly on Youtube. If the slide deck will not work within this browser window, please click here to browse the slide deck of the webinar agile failure patterns directly on Slideshare. There, you will also be able to download a PDF of the slide deck. 🆕 Hands-on Agile Webinar #6 on product owner anti-patterns. Hands-on Agile Webinar #3 on product backlog anti-patterns. Next Next post: Food for Agile Thought #152: Agile Estimates, #NoEstimates, #WhyEstimates, Product Design Tools, Top-Down or What?